When I stepped out into the southern California sunshine on the first morning of our recent trip, I exclaimed to Kyle, “How are we not living here? 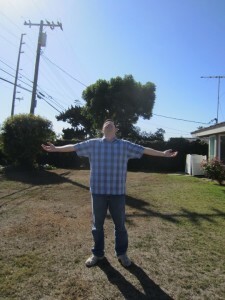 !” I repeated this phrase multiple times throughout our long weekend in Los Angeles. All I wanted to do was spend time outside, which thankfully we were able to do for much of Friday and Saturday. The weather was beyond gorgeous, particularly warm and sunny for February, and a stark contrast to the unusually extreme winter weather we left behind in Durham. I can’t wait to move back to southern California. Even though Boston and San Francisco have been higher on our list of possible cities for our next move, after this trip I’m really angling for Kyle to concentrate on getting a postdoc in Los Angeles or San Diego. I just felt like I was home during our trip. I always ask people who used to live in San Diego who have moved away why they left. As I’ve not yet lived there, I want to be prepared for the possible downsides; I know it’s not without flaws. The most common factor adults cite as their reason for moving away is the high cost of living. Additionally, I often see personal finance bloggers discussing when and how to move to lower cost of living areas or lamenting how difficult it is to survive in their current high cost of living areas. I asked myself, why do people live in high cost of living areas? They are very populous – if they weren’t so popular, their costs would drop (supply and demand). The answer is obvious: People live in high cost of living areas because they’re awesome. Each one has advantages that are so overt that people put up with their budgetary struggles just for the opportunity to be there all the time! There are different common reasons for why different cities are awesome, and each individual also has a personal set of reasons for why they love (or put up with) their high cost of living area. The top reason, I would imagine, is job/industry opportunities, with runners up of geography/weather, cultural or recreational events, and proximity to family. Weather is a big one for us. If you can believe it, I only applied to colleges that were south of where I grew up and in coastal states. Kyle really is a good sport about living on the East Coast now, but the humidity can be quite overwhelming! We are happiest in a warm, dry, season-less climate. (I thought I missed seasons until I moved back to the East Coast. Now I’m sure I can leave them.) But we have friends who are total cold-weather people and love perpetual snow and winter sports. To each her own! I think another big reason for living in these areas is because you grew up there or because your family is there. My parents both moved to the DC area when they were little kids and have lived there almost continuously since then. Kyle’s parents’ families moved to Los Angeles when they were kids and they have stayed put. I hope that people are voting with their feet and choosing to live where they grew up or where their families are because of more than just that one reason. Certainly with the high cost of living areas it’s a more pressing matter to evaluate why you live there and you likely have a lot more reasons than just familiarity or family! Why do Kyle and I want to move to San Diego? It’s a mix of general and personal reasons. San Diego seems to be our ideal city and we’re not going to let the high cost of living scare us off before we even try it. And I hope that we will determine that its awesomeness, on the factors I’ve listed and others we have yet to discover, is worth the financial sacrifice. We’re going for the best value, not the lowest price! Of course, your mileage may vary. Perhaps having more money in your pocket is more valuable to you than all of the advantages that people see in high cost-of-living areas. Or perhaps you see great non-monetary advantages to the low cost-of-living area you (aspire to) live in, like proximity to family. But I hope we will all vote with our feet and live in cities that are awesome for our own personal reasons, whether others agree or not! What is awesome about the city you live in or the city you want to live in? What has been your experience in moving between cities with disparate costs of living? 71 Responses to "What’s So Great About High Cost-of-Living Areas?" It can be frustrating when a lot of the PF internet chorus goes on and on about how terrible financially it is to live in an expensive location. I’d love to move to an area where the cost of living is cheaper, but with a husband working in TV post-production, we’re essentially limited to LA and NYC and for the time being, NYC works best for us. I too would like LA, although I realized the cost of living might actually be higher than NYC if we moved… lol. I think what’s more important than moving somewhere affordable and taking whatever job you can get is to cut down your expenses as much as possible and work to get a great salary in your preferred profession. This means that we have to take a less desirable location to live to get affordable rent and cut all extraneous expenses. Perhaps after all debts are paid, my husband and I can consider moving somewhere inexpensive and him taking a job outside of his career (and having to start all over, career-wise) but until that point, we’re actually better off living in a more expensive location. Yes, this delays our ability to buy a house but that also is not our #1 goal in our life right now. I think the PF blogosphere is so focused on going down the cost-of-living scale because of the influence of the FI community and to a lesser extent the desire for location-independent (online) work. If you can take your work anywhere, it makes sense to lower living expenses to whatever extent you are willing, but for most people job opportunities have a lot to do with where they live. I think having a satisfying career is a very reasonable life goal. Andrew@LivingRichCheaply recently posted..Are We Overworked? Personally, New York isn’t for me – great for visiting, not so much for living. But it is very hard to resist the pull of family. I’ve moved around enough that I really want to settle in one place going forward to put down roots. Fortunately/unfortunately for Kyle and me, unless our parents move we’ll never be near all of our family! We both grew up in FL, then lived in LA for five years, then moved to Durham. While we loved some things about living in LA (amazing food, lots of art everywhere, great friends, usable public transit) other things made us really want to leave. We left because of 1) the weather. We really wanted to live someplace with seasons, despite never having done that. LA is also very very dry which was hard on my skin- it used to crack and bleed out there. I do much better with some humidity. We missed the rain and particularly we missed thunderstorms. 2) the air quality, which is very poor. Our doctor out there told me that living in LA is the equivalent of smoking a pack a day. I used to clean my windowsills daily and they were always covered in black soot. 3) the lack of public amenities- it is weird, but LA, despite being huge, is really not much of a public city. We felt like the longer we lived there, the more green spaces and beaches were getting privatized and closed off. 4) the work culture- everyone we knew worked regular 12+ hour days. My husband would go to work (as an architect, not a heart surgeon or anything) at 7am and get off around 9pm. We couldn’t see this working with children. His bosses had three children and three nannies and just felt like it was normal to never see your family. We did not know a single person with a reasonable work schedule out there. There is really a culture of aspiration out there, which makes it make sense that everyone is working all of the time. 5) lastly, the high cost of living. We could not see a time where we would be able to afford to buy a house out there. Everyone we knew with kids sent the kids to expensive private schools. We didn’t see a real payoff to balance out the high living cost. LA isn’t really my cup of tea, either, but I can’t bash it too much since Kyle has hometown pride. 🙂 I’m hoping San Diego will be different enough to be satisfying to us. It’s interesting to see your impression of LA since it’s different than mine in some ways (but of course I was in college when I lived there). Oooh, yeah the air. Disgusting. I recall when we were driving towards LA and wondering why there was a visible brown layer hanging above the city. Then it clicked. I hear it used to be a LOT worse though. We live in a moderately high cost of living area – my guess is that our area would be about a 152 on this scale even though our town isn’t on the list (http://www.expatistan.com/cost-of-living/index), for reference Raleigh is a 125, and San Diego is a 154. Sure it means that I pay more attention to sale prices, but the benefits of living within jogging distance from the beach in an amazing tropical paradise are well worth it. But the one thing that I think is missing from cost of living calculators is nuance into which expenses are driving up the COL. Around here, as long as you don’t go nuts when you buy a house or constantly need a new car, you can live a really full life on the “average” income of an American household. Oh, and sometimes high COL is just as much a matter of a choke hold on supply than an excess of demand. For example, legislation limiting development of new apartments in San Francisco and NYC as well as rent control in NYC. Those aren’t really free markets when it comes to housing costs. I agree that it is important to pay attention to exactly which factors are skewing the COL. In the most most expensive areas, as you pointed out, it’s housing (and buying more so than renting). Good point about the low housing supply in those cities – but that’s why people living further away and commute in. It’s sometimes hard to tell with the COL indices if they are talking about, for instance, Washington, DC itself or the greater Metro area. Ashley recently posted..What are your financial goals? The DC area is pretty unique in the country and I think it’s good to live elsewhere for a while to gain perspective. There are a lot of things I like about it but when it comes down to it I just don’t want to live on the East Coast any longer! When did Mike move to NY? It seems like you only just got there! As long as the companies you work for pay wages commensurate with the cost of living, you shouldn’t have any problem. It’s typically housing that costs a lot more. I know because we live in Silicon Valley. Our little tract house, built in 1961 is listed on Zillow for $772k. That’s probably accurate because the house that is the mirror image of ours across the street recently sold for $770k. Other costs, like food and utilities, are similar to other parts of the country. Since people are typically paid more to live in a HCL area, they can often save much more over their working lifetime. My wife and I have done just that. I think that’s the big question – if you can actually command a salary that scales with the increase in the cost of living. I’m not convinced, in my industry, that we can fully make up the difference (definitely not at the postdoc level). I’m glad that your salary is making it worthwhile, though! Do you plan to stay there even after you stop working or leverage your savings in a lower COLA? Current plan is to stay where we are in our paid-off house. My wife and I both have family in the area. Of course this could change in a decade or so after our son gets a degree and possibly settles somewhere else. Often times, we get what we pay for. I agree with you, there is a reason why some places are more expensive than others! But yes, places like that on the west coast with great weather are pricey for a good reason. I have a friend in Arizona, while not quite the west coast, is of course still a great place in the winter. He can’t imagine moving back here. Tie the Money Knot recently posted..Two Year Anniversary for Tie the Money Knot! Each person will end up with a different valuation for those features. A great example for me is New York – I don’t really care about the stuff that other people go bananas over and the downsides to living there are more important to me. Plus, there is very little industry there for us. This is the great part about the vastness and diversity of the US – people can find their niches. I love all the large cities in California. I love Northern California (especially East Bay), I love San Diego, and I love LA. Weather’s perfect, lots of fresh produce year round, AWESOME ethnic food, and family close by. YET you are moving elsewhere at least partially for cost of living reasons, yes? Do you think you’ll get back to CA eventually? I’m moving somewhere else for career reasons, not necessarily for COL. However, if I could get the same opportunity/company in CA, I would choose CA. If I have the choice between my low COL destination vs., say, NYC, I’d definitely choose my COL destination. Eventually, we are definitely going back to CA. Big part of that is family (as well as all the awesome things that living in CA brings). My mom has already been whispering to my aunt about moving to Norcal with me if I end up there and helping us with a first home purchase. Darn, I have a similar post that I am writing! But it’s different enough 🙂 I’m from LA, then lived in NYC for grad school and I loved it. Although I live in a cheaper area now, I feel like I got more out of being in those two places. I agree with you that expensive places are that way for a reason — because everyone wants to live there! Although my rent is about half of what I paid in NYC, my pay is also lower. I think I have less opportunities here. For certain fields, location really matters, which is what I will talk about in my post. Weather is huge too — sometimes we think about moving back to LA, because both of our families are there and I desperately miss the sunshine. Portland is cool, but it rains too much! I’ll look forward to reading your post! I like the median cost of living area I’m in now a lot but it’s just not California! Don’t forget about Chicago! It’s got a fairly high cost of living, only our weather leaves something to be desired… Regardless of the amenities of my city, I’ve decided that I’m going to stay put so long as all of my family is here. Sure I’d love to live in a warmer climate, but living near your siblings is a really strong indicator of overall life satisfaction. It’s not out of the question that my siblings would move to CA so I’m hoping for that! What do you think is the one big distinctive thing about Chicago that is attractive like the others on my list? All I could think of was its Midwest location. What I liked about Chicago: Lots of good food, lots of variety. Found the city centre itself kinda soulless but enjoyed some of the neighbourhoods. Holly@ClubThrifty recently posted..Should All Moms be Stay-at-Home Moms? I think the HCOLAs are much more palatable if that’s where you were anchored as a child or young adult, as Kyle and I were. We still might have some sticker shock after so many years living in Durham, but at least we’re still saying “look how inexpensive this house is!” to each other here instead of taking the prices as normal. And yeah, this winter is terrible! My work was disrupted again yesterday by another early closing! -Weather is overrated. Humans adapt so, eventually, the perfect weather in San Diego just seems ‘normal’. You cannot help but take it for granted over time. 50 degrees and rainy starts to feel cold. Like, really cold. -Similarly, the things that you love when you visit also become commonplace. The beach, while awesome, may not be a place you spend every weekend or evening after a year. I lived 4 blocks from the beach for years and learned that I am not really a beach bum or surfer…I just liked saying I lived in a beach community. -Southern CA is not quite as cool as it seems. For all the great weather, there’s an odd lack of soul in San Diego and LA (just my opinion…hopefully I am not offending anyone). The cities are really spread out: a nightmare of sprawl. While there are some awesome pockets, the general vibe of the place is not to my liking. (On that front, Phoenix is not much better: similarly spread out and soulless, with certain pockets that are enjoyable). All that said, as a homebody, I am generally happy just about anywhere. -Of course, cost is the big driver. Rent and mortgages are crazy high in Southern CA. Since stores also pay higher rents, salaries, taxes, etc., everything from groceries to gasoline is similarly inflated. I enjoyed my time there in my twenties but there is zero chance I’d move back unless my wife and I both were pulling in 6 figures, and even then it might not be a smart move from a cost & tax perspective. I have to politely disagree that weather is not overrated. 😉 I’m from SoCal and THOUGHT that weather was overrated – then I lived in a place with extremely hot summers and another place with the coldest winters I have ever personally experienced. I miss the sunshine of California and the fact that I don’t have to plan my life around the weather. That’s a terrible privilege that I never realized until I moved away. Yeah, switching back and forth between climates definitely forces you to form your opinions on weather. It’s important to us like it is to you. Kyle was very surprised that he needed to start carrying an umbrella in his backpack when he moved to Durham! Thanks for sharing your perspective. I really appreciate hearing what didn’t jive for people, as I said in the post. It’s interesting to hear you say your salary minimums for moving back. We have family and friends there and I have an idea of what they make based on their professions and it’s nowhere near what you would want! Of course, they are not PF bloggers. You are for sure the epitome of a beach person. I don’t know if I would be there as often as you but it is a big draw. I enjoy (?) reading about your life in LA and you decision whether to stay or go because it’s so informative for us. In LA I think it’s vital to create a local community so you aren’t driving all over tarnation to work and socialize and exercise and so forth. It would be very lucky to get everything that you want in one place, but I think unless you grow up in what you consider paradise and stay local for your schooling and career and so forth you’ll always be pulled to different cities. I think that’s the problem. Auckland is definitely not perfect but it’s not that far off paradise, and while there are things that frustrate me about it, overall there is nowhere I’ve found that ticks ALL the boxes, so no reason to leave. Except for my time at Duke, I’ve lived my entire life in and around Boston. I love it and really can’t say enough good things about it, though the winters can definitely be tough. But I think we’ll probably actually be moving soon to Pensacola, FL, which is where my wife is from. What’s interesting is that Pensacola is objectively a MUCH lower cost of living area than Boston. But for us, at least immediately, it won’t be that big of a difference. Our lifestyle just isn’t one that has a lot of superfluous cost, so we really won’t see that big of an impact. Now, if we end up buying a house down there, THAT’s where we’ll see the big difference more than anything. But I was actually surprised at how small the immediate difference was for us. 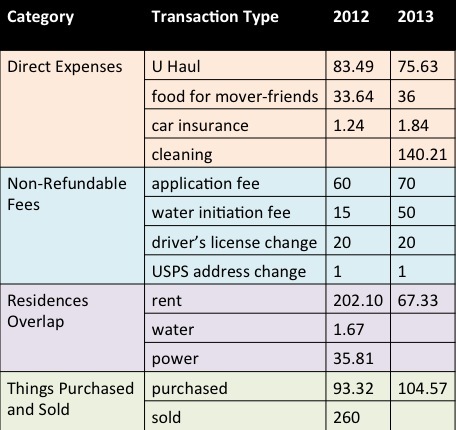 That is interesting about the personal cost of living vs. generalized. Housing (buying) is often the big swaying factor. I would love to live in Boston for a bunch of reasons – biotech hub, public transport, fun/young city, tons of friends there – but I don’t think I could handle the winters long-term! I don’t really get people who want to live in expensive areas on the East Coast. I do get the West Coast though. And yes, the weather is really important. And no, even though you take it for granted after a while, you also don’t get the negative shocks of say, hating the entire month of August, or getting pressure headaches, or having to deal with school being delayed or cancelled because of ice. I could very easily get a job in Boston, so could DH. But there aren’t a whole lot of jobs for me in California. If I could find a job I like in Northern California as much as the one I like here, I would move in a heartbeat. Why do you not get it for the East Coast? It’s not the best for us but I think I understand the attraction to Boston, DC, etc. I can deal OK with the East Coast weather – I even like summer afternoon thunderstorms – but it’s just so much nicer to have predictably good weather all the time! Worth the premium. I think the burden of proof is on you here. What is so great about Boston that justifies it’s higher COL? Especially compared to cities with similar COL.
Boston isn’t for us, probably, but other people sure seem to like it. 🙂 I have so many friends living there now! I guess to me the best parts would be that it has good job opportunities for us and the walkable city/public transport. Portland is the cheapest city on the West Coast, but there is still a premium to live here because, as you say, it is awesome. Rent is a little cheaper here depending on what you want (we upgraded, so it is more), but food and other costs are higher than where we lived before. It was kind of a shock that my 40% bigger paycheck didn’t go 40% farther for us when we got here, but we’re adjusting just fine. At least you started out with that nice big raise, even if it meant a little less in Portland. Still worth a standard of living increase. We’re in NYC because bf works in finance. I could work pretty much anywhere, but he’s the bigger earner so for now we’re trying to figure out if there are any jobs for him in cheaper cities. There are a lot of things I love about NYC, but he traffic, congestion and cost are definitely not a part of my “love” list. What about Charlotte? Maybe it’s just because we’re nearby but I’m always hearing about finance stuff there. Its smart to make your choice based on value and not just sticker price. There are a lot of great things about living in Southern California, and under the right circumstances the cost of living can be managed. If your heart take you there, and you’ve got a reasonable chance of managing the finances, then go for it! I’m not sure it’s fair to call it a “trap” as though smart people can just avoid it, I think it’s increasingly the way our economy is structured! Maybe in some fields where salaries are uniformly so high that it is possible to live off of one income anywhere, but with incomes stagnating and more and more industries relying on contingent workers, I think it can just be a necessity for some couples and families. I’m not sure if you read my post from last week that referenced The Two Income Trap? I’m not saying that smart people (exclusively) can avoid it and I agree that’s how society is moving… But that doesn’t mean we can’t try to have margin in our lives. Must’ve missed or skimmed it, sorry! I agree that margin is important, and living frugally is a good way to create it. It’d just be nice if there were more livable single salaries these days. Jobs really do create a Catch-22! My husband just got an offer for his dream postdoc in a very high cost of living city, so he’s thrilled, and I’m excited because I used to live there – I love it, have friends there, think my non-academic job prospects might be better than average there, and can’t WAIT to get back to this amazing church I used to go to. But postdoc salary levels are pretty much set by NIH, so I think it’s unlikely he’ll be willing or able to negotiate up, and rent for the cheapest 1-bed apartment in that city would cost around or over 50% of his after tax income! WHOA. With that plus having to pay health premiums, student loan payments, and higher commuting costs for one of us (we’re a one car family, but right now we both walk to work! ), it is going to be harder to make ends meet and save for retirement than as grad students. It’s not impossibly far away, so one or both of us could have a 1-2 hour commute and I could TA at my graduate institution to be eligible for a stipend, but frankly, I’m not sure it’d be worth it. I’m really debating whether to apply for a TAship or just look for part-time jobs in the new city while I finish, since neither would pay particularly well, and my research can be finished anywhere at the writing stage. Anyway, I get this. People want to live in places that are full of opportunities and other attributes that appeal to them. But there are tradeoffs! But but but dream postdoc! Are you sure that postdocs at that university aren’t paid more than NIH recommendations? He should investigate the negotiation possibilities to the fullest, since others have the same issues. Does the university offer subsidized housing? Yeah, I don’t think I would take the familiar job with a long commute. Try something new that might lead to more connections and opportunities in that city! The nice thing about the nearby city is that I can leave all the options open for now – try to find a new opportunity that pays, and if I don’t find one in time, hop back down to my university and teach until I do. That is a really good tip about using the other offer to speed the one you want more. Probably between a cost of living comparison with the other city and finding out what other postdocs are paid he can come up with a reasonable request. We spent a day in San Diego while in Cali and really, really, really liked it! I don’t just live in an expensive city, I live in a small and expensive country. After having travelled the world, though, and visited most of the cities that I would have thought I might consider moving to, I just can’t see us leaving and living anywhere else. The weather here isn’t perfect but it’s probably about as close as it’ll get, with all other factors considered. Friends and family are here. The job market ain’t too bad, really. We are so close to beaches and bush and anything else you could imagine. It’s the kiwi culture that we know and love. The downfalls are lack of public transport and lack of certain cuisines (Mexican!) plus of course COL. The only place I think we could possibly live would be somewhere in California, and I am reluctant to live in a country that has such poor employee rights and healthcare, among other things. Jobs would also be an issue (I am doing well so far in NZ, have loved all my jobs, and know it would be a lot tougher in the US). It would still also be pretty expensive, though I’m sure it’d be cheaper overall than Auckland. That’s awesome that you visited the places you would consider living and chose to stay where you are! The pull of community is really strong (and culture). I agree, I really love the US but there are many policy changes I’d like to see! I live in both NYC metro areas and in San Francisco. Why? Because they are awesome places to live and fit my lifestyle. I have found ways to lower cost of living in those areas. One way was to get rid of the car. Yeah, good for you! ITA about giving up the car – that’s what I did when I lived in the DC Metro area. I grew up in low COL area, then lived in a different one for a year, both with cold winters & hot summers. Then I lived in 2 different high COL places in Cali, LA and SF bay area. You do “get used” to the nice weather in that weather is never an issue. You don’t have to say you’re going to go somewhere “unless there is a storm or icy roads”. You don’t have to scrape ice of your car, or spend your winter scurrying from your car to your workplace or Target or whatever, then back in. You can be outside all year round! I NEVER got used to freezing cold winters. Every winter it was a shock all over again! Every 7 – 8 month winter! L.A. is great if you find your neighborhood. There really is something for everyone. Not without bias, but I thought Santa Monica was the best place in the entire world to live, and I will forever judge everywhere against it. We are living in another pretty great place, but nowhere is santa monica. Not sure what we would have done when house/kids came around, but probably same that we will do here. SF proper is ridiculously expensive right now for a variety of reasons, only some of which are that it is a great place to live. I totally agree it is, but the rent is still out of line with the greatness. The ONLY reason I’d move to lower COL place would be to be near family. However, there really just weren’t the job opportunities to live near either of our families, so we are just living in the best places we can both find good opportunities in. Luckily, it turns out to be somewhere pretty great! I also don’t get the appeal of the east coast at all. Far from my family, mostly cold winters, the nature is not so amazing…. meh. Only good for people who like historic stuff. Or NYC, I guess. I’ve really enjoyed reading about your journey and so excited for you settling in the SF area. Winter is a disappointment to me every year as well even though it’s mild here and I’m so happy that we’re emerging from it now. I’m sure you’re right about needing to find a neighborhood that fits you in LA to make the world a bit smaller! I’ve enjoyed living in my LCOL area of Fort Worth SO much that I decided to take a 20% pay cut to move to a much higher COL area near Denver, CO! *that was sarcasm… Their was a reason I paid $78 per sqft for a brand new energy efficient home in TX… and will be paying closer to $250 sqft in Denver. I am just hoping that the area pays off in other ways. Also, relocating has caused me to rethink spending strategies, boot strap our lives a little, and get creative with other ways to make a buck. Hope everything worked out for you! It sounds like the change is going to be positive for you! I hope you enjoy Denver more than Fort Worth. It’s hard to beat Texas for low cost of living/tax. Living in Seattle is fine but we’re definitely not seeing the benefits that most people move here for.